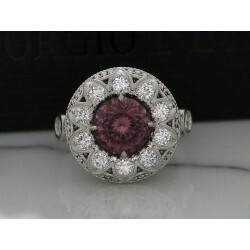 This beautifully designed rare Color change garnet ring is set with 12 diamonds for a total of .78 cts of diamonds F-G VS. The metal is a Platinum (pt900) weighing in at 14.6 grams. 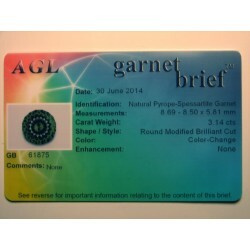 The center stone is a precision faceted color change garnet 3.14 carats and includes an AGL certification classifying it as a natural color change garnet. 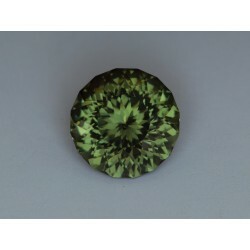 The stone changes pink in incandescent to a green under daylight bulbs and yellowish brown under sunlight. 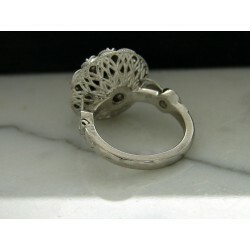 The design of the ring is organic and designed to resemble that of a flower in spring. It is currently a size 7 ring. The ring was appraised by an independent appraiser with estimated replacement cost of $28.840. This can be transferred to the purchaser for an insurance appraisal at no additional cost. 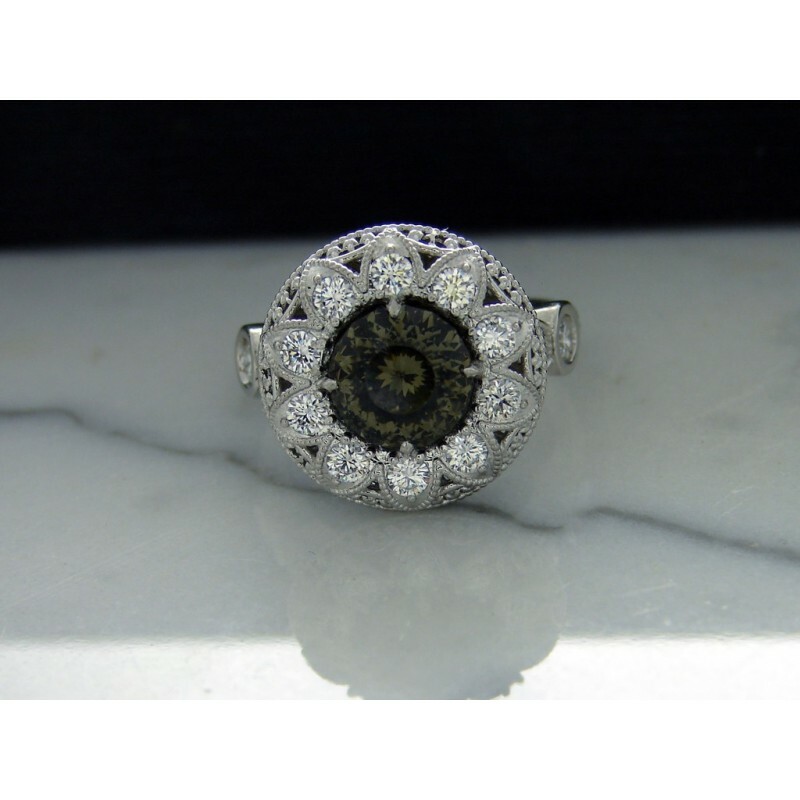 The ring was designed for the AGTA Spectrum awards for 2014. However it did not win but did have a good showing. 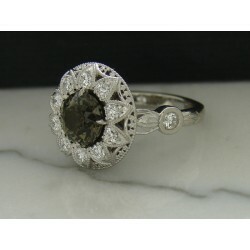 This is a truly one of a kind custom designed and hand crafted ring.